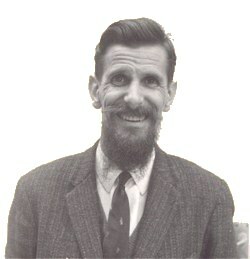 Biologist, ecologist, conservationist, author and farmer, Joe was born and educated in England. He worked in many places: - with commercial fishermen in the North Sea and Barents Sea: with the Lake Victoria Fisheries Service in East Africa; in England mainly with publishers and at the London Zoo; in Switzerland with the International Union for Conservation of Nature (IUCN); and in Canada, first with the Metro Toronto Zoo and then for the Ministry of the Environment. Various projects took him to many other places, perhaps the one he most enjoyed was an extended trip to Western Antarctica gathering data on animal life. Joe wrote several books on animal life and biological aspects of conservation, articles for newspapers and magazines and many papers for scientific journals. He retired in 1993, planning to spend more time on the farm with his sheep, Highland cattle and chickens, and in the barn where he started to build a 22 foot sailboat. Sadly, ill health intervened; this was a project he left unfinished.